Maybe it's a break, maybe it's a piece of the big pie, maybe it's the anchor he has always needed. This one is a great one and I can hardly wait to read the next one! I Loved this story. Harry was so soft in comparison to some of his other adventures. He truly showed a different side to his nature. The ending blew me away. I can't say more without giving away the special thrill I felt. People please do yourself a favour, read this book! 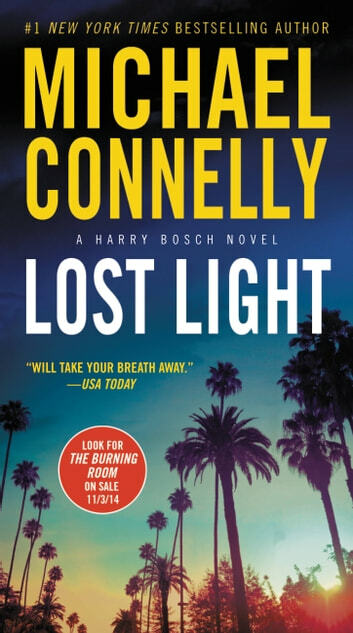 I have always felt and invigerated at the end of a Harry Bosch case. This case sucked the wind out of me.This ime is a bitter sweet experence. I still have seeral more of Harry's cases to read; I will read with caution waiting for the next shoe to fall. This sure needs a break, hopin it comes. Average story of cops and robbers nice ending. Don't want to give anything away..................... 134678087631qwetuioongfsadjkl, m vxzwqtuiokgdvnj Have to get 100 characters so I can submit this review.